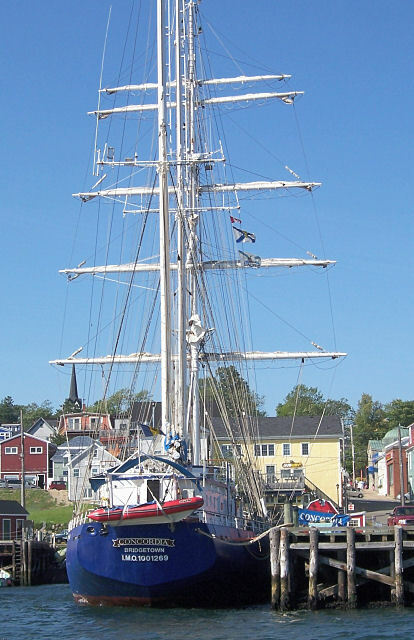 The highlight of the Tall Ships visiting Lunenburg was seeing Larinda. 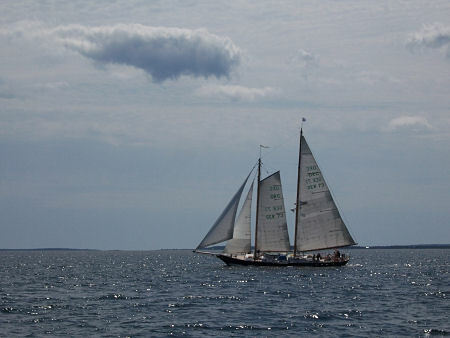 She’s a replica of a 1767 schooner, built over a period of 26 years by Larry Mahan of Barnstable, Mass. She was a labour of love, full of wood carvings and fancy and fun. 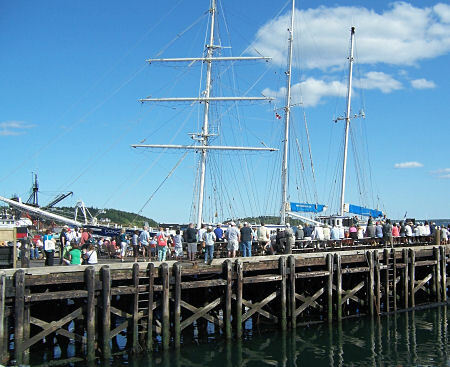 Mahan sailed her in many Tall Ships events, where she was much admired. 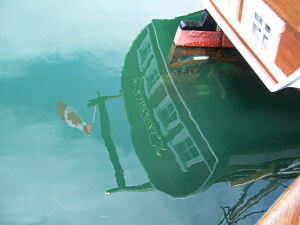 Then in 2003, having taken shelter in Halifax Harbour during Hurricane Juan, she was rammed by another ship during the storm and sank, right next to a sewerage outlet. It was a big mess, and Mahan despaired of ever being able to repair her. 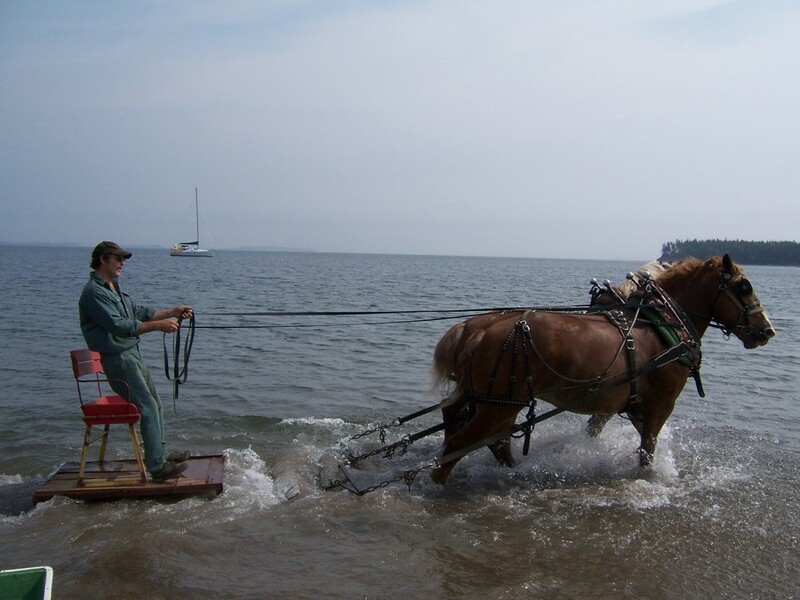 The salvaged boat was bought by a Nova Scotia couple who live on St. Margaret’s Bay, and is being carefully restored. 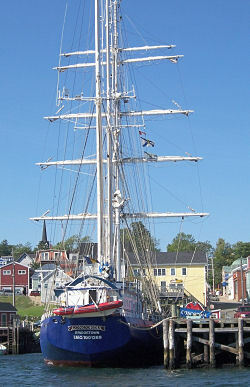 Larinda didn’t actually make it to the Halifax Tall Ships event, and hasn’t been fully rigged yet. 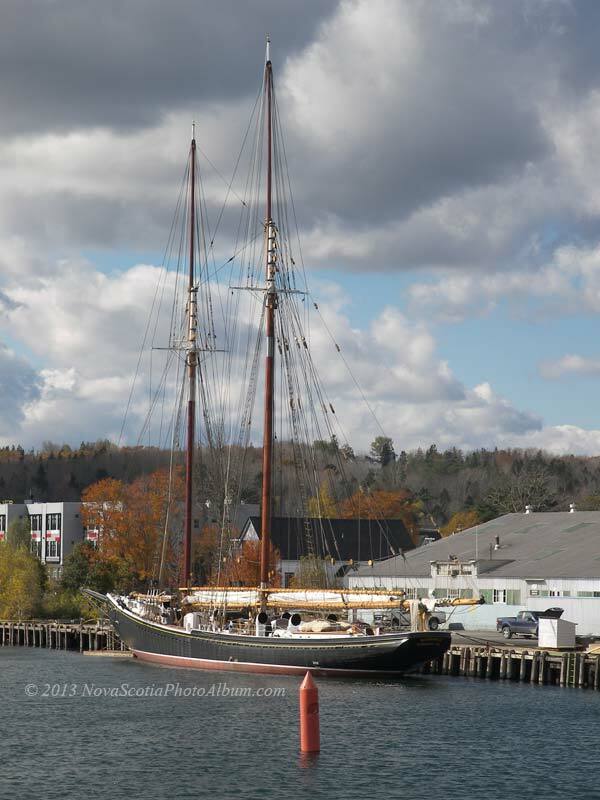 But she was towed to Lunenburg and rafted up alongside the schooner Unicorn, from whose deck we could admire her. 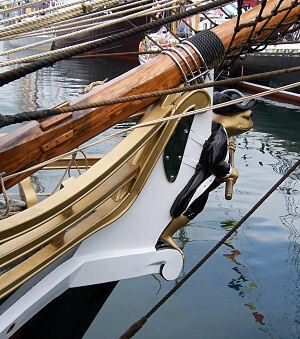 Larinda is sporting a new colour scheme of black, white and bronze instead of green and off-white (see photos of Larinda before the sinking). 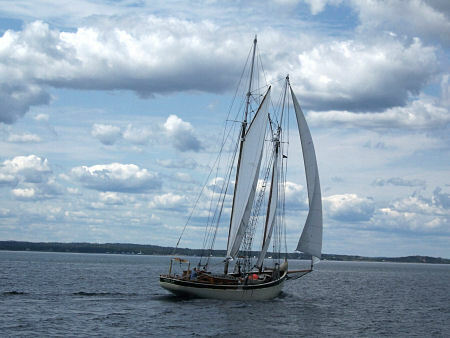 Her distinctive red battened junk sails were irreparably damaged, and her new sails will be white. The frog in the tricorner hat still graces her bow, and her brasswork is shiny. Larinda truly is a special ship. 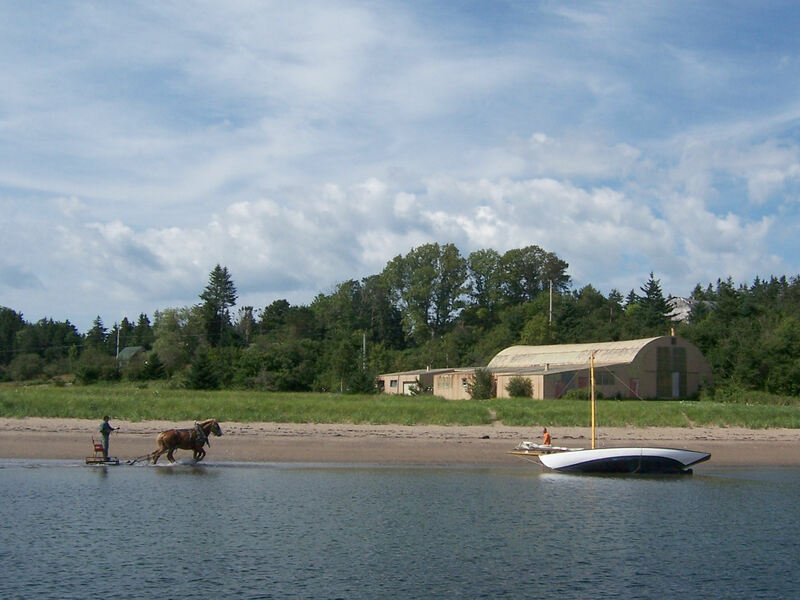 It will be exciting to see her sail again. 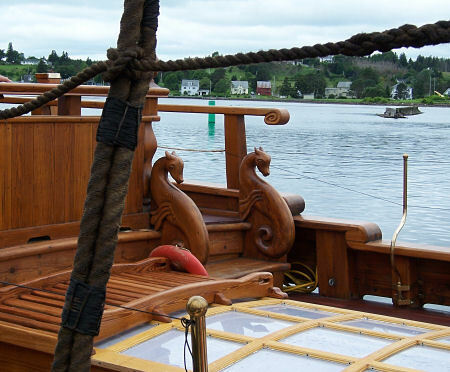 Larinda's deck, with graceful carvings, is being restored.